There were several surprises during the week in the English Premier League. The losers of Manchester City (1: 2 against Newcastle United) could use Liverpool in the home game against Leicester only limited (1-1 draw). Equally surprising was the desperate appearance of Chelsea, who skated at AFC Bournemouth in a 0-4 debacle. After these unexpected results, the 25th matchday of the current season may be eagerly awaited. It opens on the early Saturday afternoon with the duel between Tottenham and Newcastle! For the Pochettino-Elf the 24th matchday went absolutely as desired. The gap to the leading duo could be shortened, the advantage over the competitors in the fight for the Champions League has been extended. With seven points behind the Klopp team, dreams are again allowed. Newcastle United has been able to gain ground in the relegation battle by the sensational victory against the Citizens. The lead is now five points to the first relegation place. Despite this outstanding performance, the guests are clear outsiders. In the duel between Tottenham and Newcastle odds of 1.45 are offered for the home win. The game starts at Wembley Stadium on Saturday at 13:30. Although Tottenham celebrated a 2-1 home win in London’s city derby against Watford FC’s hornets, they failed to do so well. 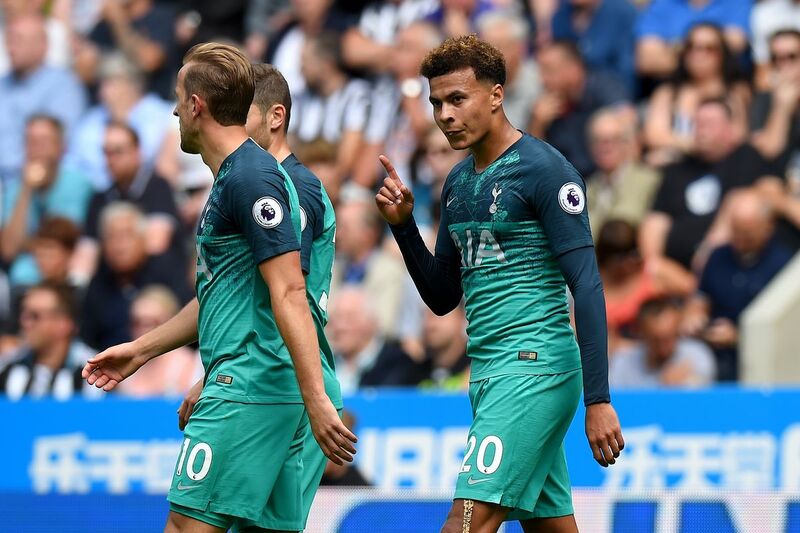 In the absence of the two top stars Harry Kane and Dele Alli (both lost) struggled the table third in the Premier League to a happy home win. The visitors made it through to the final stage thanks to a strike from defender Craig Cathcart (38th minute), but the turnaround was achieved in the last ten minutes. Heung-Min Son and Fernando Llorente secured the Spurs their second win in a row. The South Korean Son underpinned his bear form, his equalizer was already the eighth goal in the last nine competitive matches. In view of this strong condition in the game between Tottenham and Newcastle the tip for a renewed Son goal quite an exciting option. For this, odds of 2.20 are offered. Due to the fact that top striker Harry Kane will continue to be missing, the hopes rest on the lively Asians. The “comeback victory” against the Hornets was for Tottenham already the second victory in a row despite a backlog. Already in the 2-1 win against Fulham Spurs had conceded the goal to 0: 1, before the game could still be turned. Mentally the Spurs act outstandingly in these days. Despite the serious failures of the two crowd favorites, the Pochettino-Elf can not be disturbed. Qualitatively, the duo can not be replaced, with great will and heart Tottenham but may continue to flirt with the top of the table. With the home game against the Magpies starts the favorite month for the Tottenham Hotspurs. In the last 26 home games in the Premier League in February Tottenham suffered only one defeat – 2007 against Manchester United. Otherwise, the Spurs celebrated 18 wins and drew only eight times. Between Tottenham and Newcastle, however, a prediction on the draw is not necessarily to be recommended, after all none of the last 28 Premier League games ended with a division of points. Another game without a draw would be a Premier League record on Saturday. The home game against the seemingly overpowered Manchester champions began catastrophically for the Magpies. After just 25 seconds of play Sergio Agüero scored the opening goal in favor of the Skyblues. In the meantime, odds of over 100 have been traded in live bets for the home victory of the Magpies. Who took this risk, was rewarded with a nice profit. The Benitez team acted tactically extremely disciplined and allowed only a few City scoring chances. In the game forward, the home side acted ice cold. Two errors by Fernandinho pave the way for a sensational victory. Even in the more than five-minute stoppage Newcastle left nothing to burn. After the 3-0 home win against Cardiff City, this was the second win in the series. The relegation zone could be temporarily left behind. Five points ahead, however, is only a thin cushion and the strong form must be confirmed in the next few weeks. However, Newcastle United has no positive memories of the Wembley Stadium. On Saturday it is time again and the Magpies have to start the journey to Wembley. The last seven appearances in this stadium were all lost. The last Wembley victory? Hardly anyone remembers that. In the FA Cup Final 1955 Newcastle United retained the upper hand against Manchester City. Never before has Newcastle lost seven games in a row at the same stadium, with Saturday threatening with the eighth defeat. Despite two victories last, Newcastle United travels as a great outsider to the English capital. Already for a score of the score in the match between Tottenham and Newcastle odds are offered for a tip of over 3.00. Personnel Rafael Benitez after the sensational victory finally fulfilled the request and pulled with Miguel Almiron (Atalanta United) and Antonio Barreca (AS Monaco) two reinforcements on land. The duo will definitely raise the quality again. Benitez had requested new signings, otherwise he would have left the Magpies in the summer. In the season 2015/16 Newcastle United had to cope with the bitter descent, but could win the two games against the Tottenham Hotspurs surprising. However, since the return to the English football upper house, the Magpies drove no more points against the Spurs. The latest three games each decided the Pochettino-Elf in their favor. After two to-zero victories Hugo Lloris had to accept in the first leg of the current season, however, again a goal. On Matchday 1 of the current season, Tottenham beat Newcastle’s St. James Park 2-1 after a spectacular opening phase. All three goals could be seen in the first 18 minutes of play. Both teams celebrated a spectacular 2-1 win at home during the week and can therefore be confident in this match. At the start of the 25th game day between Tottenham and Newcastle a tip on a division of points according to historical data is not a good idea. In Tottenham’s last 20 home games against the Magpies, not a single game ended in a draw (12 wins for the Spurs, eight for the Magpies). Tottenham is the clear favorite against Newcastle, according to odds, for the home win, the best odds are at a 1.45! None of Spurs’ last 28 Premier League matches ended in a break! The last three duels won Tottenham against the Magpies! Newcastle United lost seven times in a row at Wembley Stadium! The home win against Manchester City certainly gives the Benitez team a lot of confidence. Nonetheless, according to the naked numbers on Saturday at Tottenham, no further surprises are expected. The Spurs are successful despite personal problems and look back on a good record against the Magpies. The guests from Newcastle have a horror record at Wembley Stadium. In addition, Tottenham will by no means underestimate the Magpies and will not make the same mistake as the Manchester Skyblues. Manchester City had invested too little in the offensive game after the lead and was penalized for it. At the start of the 25th match day, five units are set to odds of 1.45 in the game between Tottenham and Newcastle on the tip of the home victory!